There was an error while deleting the data factory. Please stop all SSIS Integration Runtimes, remove all Azure VNet Integration Runtimes and remove all Self-Hosted Integration Runtimes sharing before deleting your Data Factory. 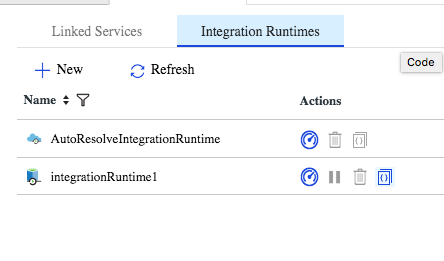 0 Azure VNet Integration Runtimes: . 0 Shared Self-hosted Integration Runtimes: . When in the UI, the delete options are greyed out. How can I delete the factory? Noticed the log infomation in your error message：1 Azure SSIS Integration Runtimes with status: Started:. you need to stop the IRs first so that you can reconfigure or remove them. Not the answer you're looking for? 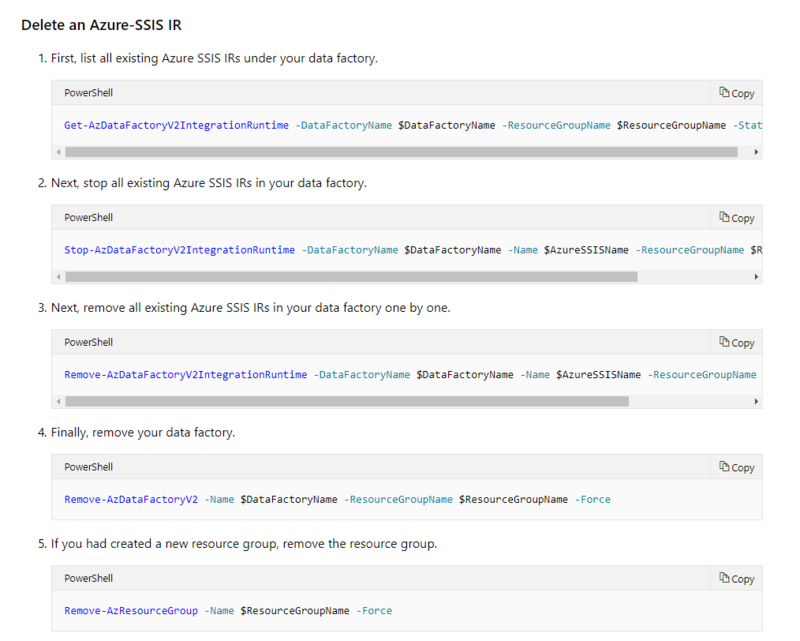 Browse other questions tagged azure azure-data-factory or ask your own question.